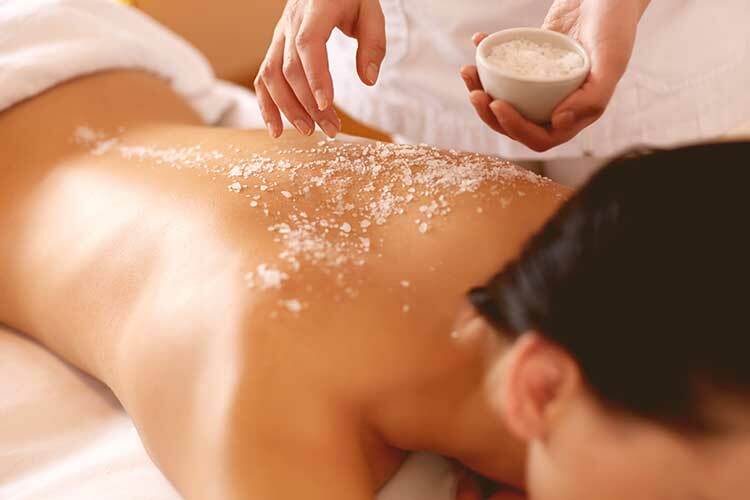 Salt contains minerals and has antibacterial qualities that can reduce inflammation and prevents itchiness, mixed with oils it can also replenish dry skin. Salt has many cleansing and healing properties, it eliminates toxins and negative energy, it also helps the skin breath easier, encourage blood flow and improves skin texture. All these properties, combined with the right oils and professional massage techniques will leave you feeling energized and your skin will be cleaner, softer and younger.